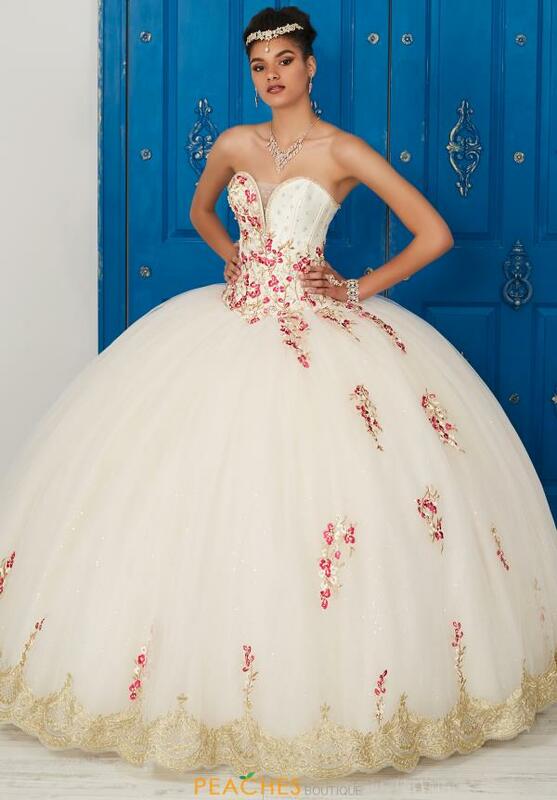 This extravagant Tiffany quinceanera gown 24032 will leave all eyes on you. Showcasing a stunning sweetheart neckline with applique throughout a satin bodice and tulle skirt. A corset lace back will show off all your curves perfectly. 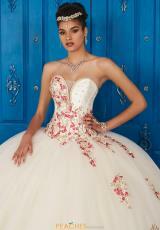 Find this show stopping dress and more Tiffany quinceanera gowns at Peaches Boutique in Chicago.